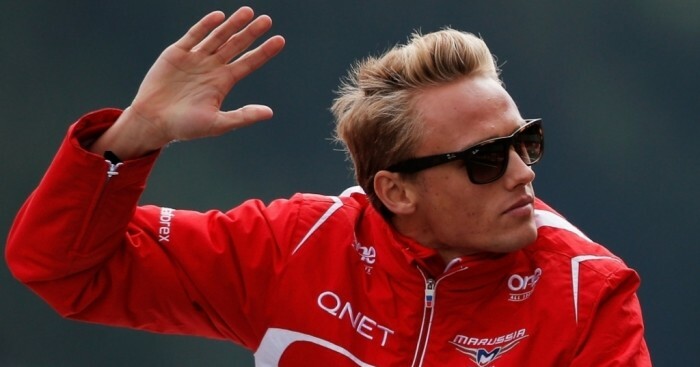 Former Marussia driver Max Chilton has put his name in the hat for one of the two race seats available at Haas F1 next season. The American-based Haas team will join the Formula 1 grid next season and founder Gene Haas has revealed that they are still in talks with "at least 10 drivers" with the likes of Nico Hulkenberg, Jean-Eric Vergne, Esteban Gutierrez and Alexander Rossi among them. Chilton, who spent the 2013 and 2014 seasons in F1 with the Marussia team, has now also confirmed that he is in the running, but he concedes he is probably not among the favourites. When asked if he would drive for Haas next season, he told Sky Sports: "That is for them to decide. "I've definitely put my foot in the door and we've had a few chats. I think they came out a few weeks ago and said they were talking to 10 drivers so I am definitely one of those. I'd love the chance, but I have a strong feeling that it is going to be one young Ferrari driver, because it is hugely a Ferrari project – they have Ferrari engines and are using their wind tunnel – and then I hear they want an experienced driver." The 24-year-old is currently not involved in Formula 1 with his former team now competing as Manor and running Will Stevens and Roberto Merhi as their drivers. However, Chilton says he would jump at a chance to return to the South Yorkshire-based outfit. "I have a lot of friends there, I was there for two and a half years because I was there travelling with them for the last half of 2012 and I love the team," he said. "I would be mad to turn down a Formula 1 drive, because I have a lot more to prove. I was lucky to do two years but I never really had the chance to show more and hopefully if I did get asked by Manor, they would have a more suitable car for us to perform in."